Our team is made up of positive, caring professionals that put our patients and their needs first. Dr. Brown was born and raised in Wenatchee, Washington, a town along the Columbia River in central Washington known as the "apple capital of the world". He attended college at Stanford University, where he received a Bachelor of Science in Management Science and Engineering. Dr. Brown came to Kentucky to attend the University of Louisville School of Dentistry because of its reputation for outstanding clinical education. 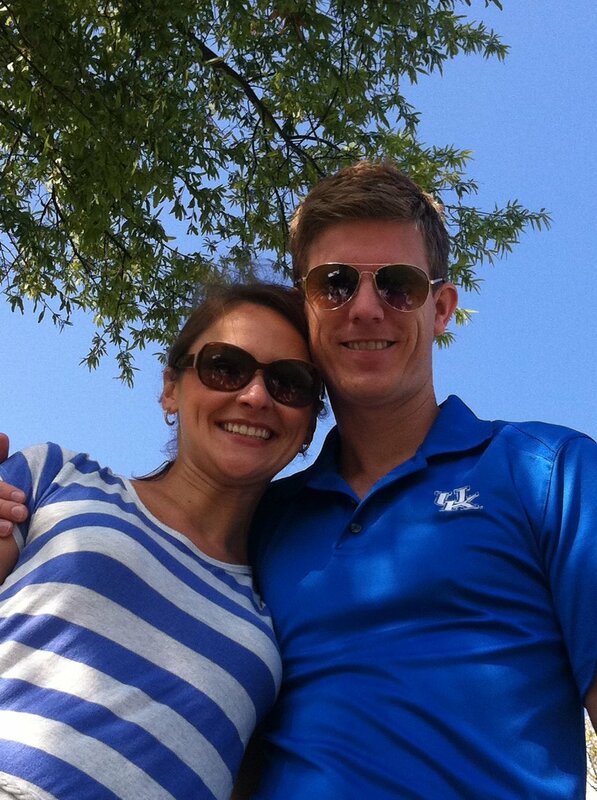 While in dental school, Dr. Brown met his future wife Ashley, an attorney in Lexington, Kentucky. Ashley attended the University of Kentucky and Dr. Brown has become an honorary member of the Big Blue Nation. 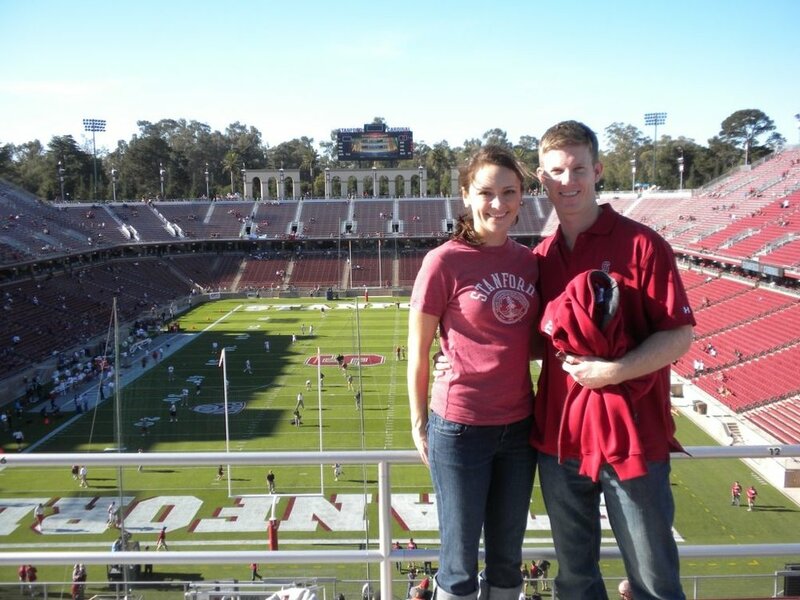 He also roots loudly for Stanford athletics and the Seattle Seahawks. Here in Lexington, Dr. Brown has worked both in private practice and in a group practice focused on urgent dental care. He has also done mobile dentistry, providing free dental care to children at schools in rural parts of the state, and is involved in the community through treating those in need at the Southland Refuge Clinic. He has been a member of the American Dental Association, Kentucky Dental Association, and Bluegrass Dental Society. In his free time, Dr. Brown enjoys reading, playing golf, and spending time with his wife, daughter Lucy, cat Posy, and their dog, Andy. Ashley was born and raised here in Lexington, KY, and has lived here her entire life. She is extremely proud to call Kentucky her home. She couldn't imagine living anywhere else but the Big Blue Nation. Go Cats! Ashley attended Tates Creek High School, then furthered her education at The Medical Institute of Kentucky where she became a Certified Medical Administrative Assistant. She is extremely blessed to be married to her high school sweetheart. They have one daughter together, as well as a variety of pets (it's a small zoo at her house, with four dogs, three cats, a bird, & a lizard). There's never a dull moment, to say the least! In her free time, Ashley enjoys spending time with her family, shopping, & traveling. Her favorite destinations are Gatlinburg, TN & St. George Island, FL. Her family has made it a tradition to visit each place once a year. Ashley is more than happy to answer your questions, plan for appointments, help resolve concerns, and most importantly, help make your visits nothing less than positive. Sierra is from a small town in eastern Kentucky called Whitesburg, in Letcher County. It was there, at Letcher County Central High School, that she and her future husband Cole began their relationship together. After high school, Sierra first went to Southeast Community and Technical College and then transferred to Big Sandy Community and Technical College, graduating from their Dental Hygiene program. Sierra now has several years of clinical dentistry under her belt and enjoys making people’s lives better, one smile at a time. Sierra and her husband Cole have recently moved to Lexington to allow Cole to complete his training as a pediatrician at the University of Kentucky. Sierra has always been a die-hard Kentucky Basketball fan, but the Wildcat Football team has also stolen her heart since moving to Lexington. Sierra loves spending time with her family. She loves going back home to the mountains when she gets the opportunity. Sierra is a dog mom to a yellow lab named Izzy and chocolate lab named Jo Jo, who keep her busy! Jenna’s love of dentistry began at the early age of 15 when she started her first job working at her aunt’s dental office in her hometown of Pineville, Ky. It didn’t take long for her to discover that her passion was in dental hygiene, and she has never looked back. Jenna moved to Lexington and attended Bluegrass Community & Technical College, graduating with honors and received her Dental Hygiene license in 2013. She now resides in Nicholasville with her husband, Brad, 9-year-old step-son, Blaine, 1-year-old son, Barrett, and 75 lb golden doodle, Tuck. Some of her favorite things include Keeneland in the fall, reading, UK sports, and trips to Norris Lake in TN with her family. Jenna’s favorite part of being a hygienist is the opportunity to provide education on the importance of oral health to her patients, as well as ensuring that each appointment is suited to the patient’s individual needs and concerns. She prides herself in her chairside manner and aims to always provide gentle, yet thorough care.